Alongside the progress of medicine, developments are widely seen today in the field of surgery, in the therapeutic application of the "molecule" and the "cell". "The Japanese Surgical Society for Gene Therapy" started in 1998 as the study group comprised of members of the Japan Surgical Society. Now after a decade of research in genetic therapy, on this 10th anniversary year, the research theme will be redefined and upgraded to include Molecular therapy and Cellular Therapy and the study group will be renamed to "Surgical Society for Molecular and Cellular Therapy". We would like to extend our sincere appreciation and gratitude to the doctors and medical staff from various corporations who have thus far collaborated with us and we hope for their continued guidance and support into the future. In 2004, we published the "The frontier of genetic therapy" to report the research achievements of the "The Japanese Society for Gene Therapy" during the preceding 5 year period. This year we are planning to publish the "The frontier of Molecular and Cellular therapy 2010" to commemorate the 10th anniversary of the study group. 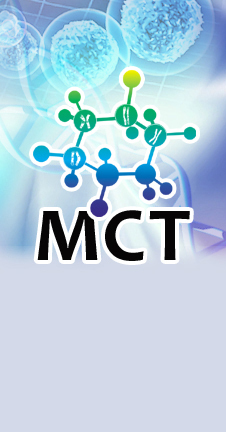 This society aims to be an original and unique study group by reaching out beyond the limits of conventional genetic therapy and to cover new areas of research in molecular therapy including peptides, antibodies, vaccines, antisense, viruses, iPS cell among others. The study group is organized for the benefit of Japan Surgical Society and staffed by its selected members whose purpose is to report the research achievements at the Annual congress of Japanese Surgical Society. Copyright©　Surgical Society for Molecular and Cellular Therapy All Rights Reserved.